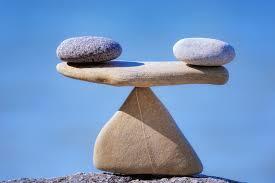 I have always appreciated the balance Jesus brings to the issues of sin, grace and forgiveness. It may be that this is demonstrated about as perfectly as it can be in John 8, with the story of the woman caught in adultery. The important thing to note is the order of the elements in Jesus' encounter with the woman. First, he steps in and saves her life, rescuing her from the condemnation of insincere and self-righteous religious people. Second, he let's her know that he does not condemn her. She was well aware that her actions had already done that. that he was on her side that he did this. He did not lead with "you should not have sinned." But he did get there. That's because he knew it would do no good to forgive and free a person only to have them fall back into the actions that had condemned them in the first place. I am struck by how many Christians are willing to ignore the fact that while the religious people in the story find ample justification in Scripture for condemnation, they refuse to also consider those passages that define the full scope of God's grace. How unlike Jesus! I am also struck by how many Christians are willing to ignore the fact that Jesus, once having saved the woman and having let her know that he refused to condemn her beyond what her actions had already done, did then recognize what she had done was sin, and charged her to stop it. They refuse to consider those passages that define the full scope of God's call to holiness. How unlike Jesus! In a world where we in the church either gravitate toward rules or to personal autonomy, the balance (or balanced tension if you prefer that descriptor) we see in Jesus is so hard to see in many of his followers. Maybe we need to stop seeing a call to holiness and a call to grace as opposites, and begin to understand that extending a grace-filled call to holiness is the most Christ-like, and therefore loving thing we can do. May we who follow Jesus be intentional about recognizing and showing the world by our example and witness, the full scope of God's grace offered to us as a free gift. And may we also, with equal passion, be intentional about recognizing and showing the world by our example and witness, the full scope of what it means to live out God's call to holiness.